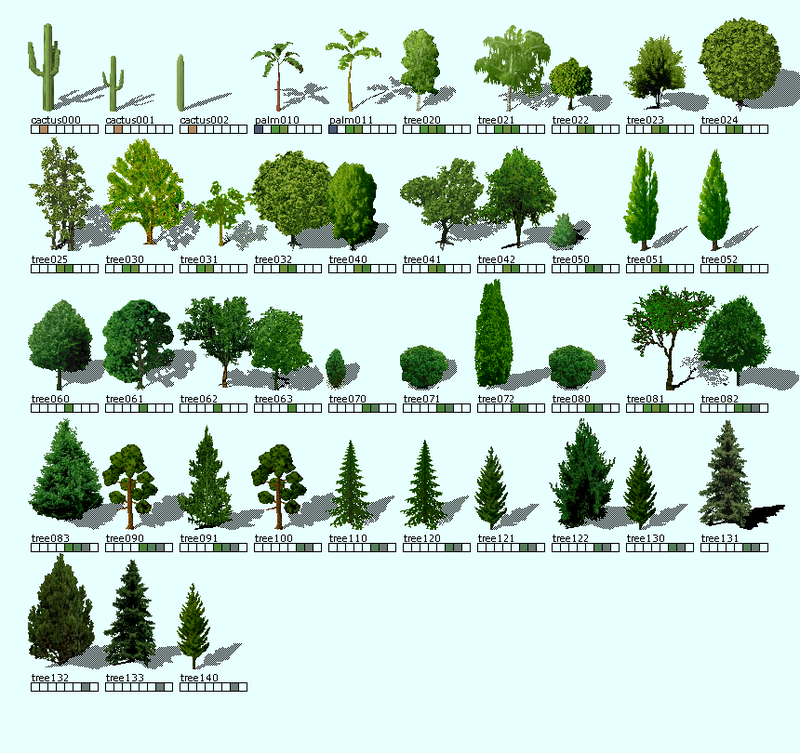 forests can be generated/added on every climate. With the same settings pak64 behaves correctly. With the same settings pak64 behaves correctly. You mean, if you add this to pak64 simuconf, it works correctly? Yes, in fact this is the default. You think it is not pak128 related? I cannot see why it should not work in pak128... The entry is the same as in pak64 - so for some reason it works there but not here. edit: No code, just thinking out loud.. Could it actually be that this entry has been made obsolete by tree climate data? Because there is little point in duplicating that functionality. This setting is only used to distribute those single trees across the map, not for forest generation. These facts explain the behaviour. 1. Trees should not be allowed in arctic climate (always covered by snow). 2. At least palm trees should not be allowed in desert climate but in water climate (like pak64). This creates a nice effect along coastal lines. Edit: Since we are still talking about trees, I want to point out here a visual bug (white pixel) in cactus000 tree (image). Hmm wouldn't it make more sense the other way round? So that single a single cactus may be placed in the desert once in a while, but not dense forests of them? Perhaps forbidding single both trees and forests could be configured that way. Anyway, what uci says is a good starting approximation - forbid everything except cacti in desert, forbid everything in arctic. Yes, but for a game, the stereotype is enough for me. I require no more realism for desert vegetation than that. Also... should this thread stay here or go back to pak128? edit: yes, I think. Nice overview. I think arctic climate should be avoided anyway. Edit: Changing the settings only for palms does not produce significant differences (image), but allowing some trees on water is not bad. There is an implicit assumption in Simutrans that waters are hot. Suppose a nordic island with tundra climate. We get palms along beaches. This is not pak128 related. Edit: of course, only tundra and alpine climates are enabled in landscape settings. uci, in game start dialogue you can set climates - but on some maps it can be problem. Today I made cacti groundobjs, which means they are distributed randomly at start of the game... and that's it. No settings tweaked so far, but to me the results seem reasonable.